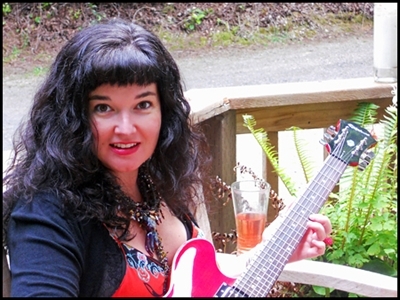 Kelly Angeley lives and works out of her home studio in Florence, Oregon. Kelly holds a Bachelor's Degree in Fine Arts from Western Washington University, where she began her artistic career as a painter; however, a healthy obsession with beadwork has caused Kelly to put down her paintbrush. Kelly's work can be found along the pages of numerous beading magazines and books. For more than a decade, Kelly has been teaching beading classes around the country.